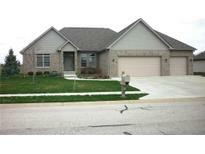 Below you can view all the homes for sale in the Wexford subdivision located in Danville Indiana. Listings in Wexford are updated daily from data we receive from the Indianapolis multiple listing service. To learn more about any of these homes or to receive custom notifications when a new property is listed for sale in Wexford, give us a call at 317-662-3724. Beautiful Entry Way Looking Into Great Room With Gas Fireplace*formal Dining Room*large Eat-in-kitchen With Hardwood Floors, Granite Counter Tops, 42" Cabinets, Pantry, Breakfast Bar And Most Appliances*cozy Sunroom Overlooking Trex Deck And Large Patio*3 Bedrooms - Spacious Master Suite With Walk-in Closet, Luxurious Bath With His/Her (granite) Sinks And Beautiful Walk-in Tiled Shower*awesome Finished Three Car Garage With Plenty Of Storage Room And A Climate Controlled Closet*wonderful Yard With Irrigation System. MLS#21615020. F.C. Tucker Company. 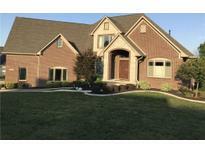 Large eat in kitchen, formal living room, dining room, library, granite, hardwood, tile, carpet. MLS#21593247. Mentor Listing Realty Inc.